Have you seen something more delicate? This Flower Looms: Simple Crochet Edging & Join With Picots by Sarah Bradberry reminds me of the dragonflies with the transparent wings. So beautiful, so perfect, so feminine! 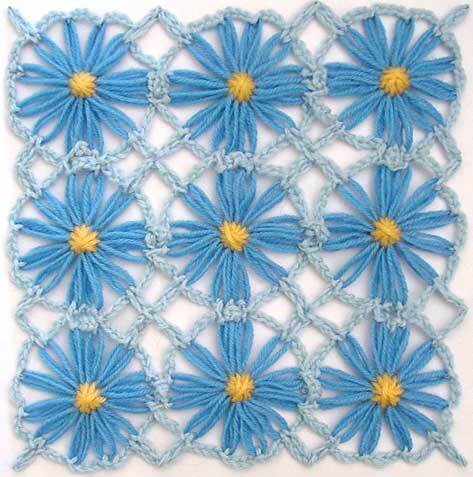 Imagine the beauty this exquisite crochet edging ads to a variety of projects from home decor to clothing and more! 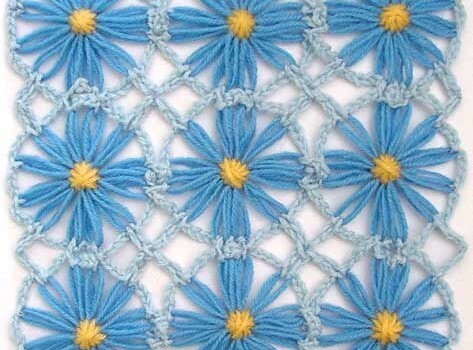 A continuous crochet edging used to join motifs made on a daisy winder or flower loom. This edging can be adjusted to a variety of yarn thicknesses and can be used to make blankets, jackets, scarves, cushion covers etc. Thanks to Sarah Bradberry for the article inspiration and featured image.